Last month, I spotted a beautiful settee in an antique store in Atlanta. 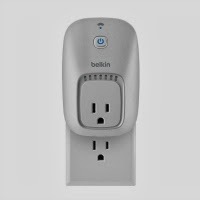 As much as I loved it, I could not think of a place where it would work in my home. In cases such as these it is helpful to turn to my inspiration file, to see how the 'pros' place settees in the homes that they design. The front hall is always a nice place to put a settee. I love the simple lines and nailhead trim on this example. 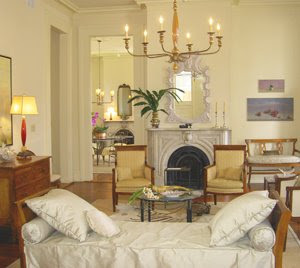 I also love the combination of the classically styled settee and sconces with the striking piece of contemporary art. Definitely a great look. From At Home Magazine. This is one of my favorite pictures. It is interesting to me that so many of my favorite pictures have settees in them! This is a very large entryway, part of a very large home. I love the lines of this settee, from Beautiful Homes magazine. I think the scale of a settee works particularly well when the ceiling is standard height (not double height). If you look carefully, this settee is under the part of the ceiling that is not double height. Often a settee is placed under the stairs, if the hallway is wide enough. This is very commonly seen in homes in Atlanta. 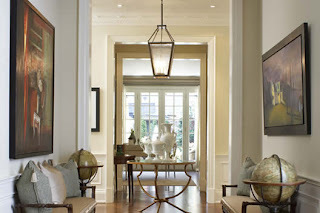 Interior design by Joni Webb (Cote de Texas). An unusual settee in the front hall of a London home. I do not see many homes in Atlanta with a long wall in the front hall, but townhomes often have doorless or windowless walls because they are attached to another townhome. Interior design by Francois Catroux, via Studio Annetta. This antique Swedish settee is in a hallway outside the dining room. 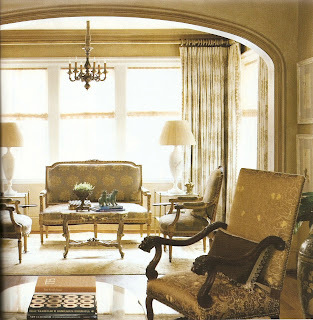 Interior design by Suzanne Kasler, from House Beautiful April 2008. I am not clear whether this is an entry or an interior hall; I think it is probably a hall. The pair of settees facing one another (with matching globes) is charming. Kimberly Seldon interior design. A charming small settee. 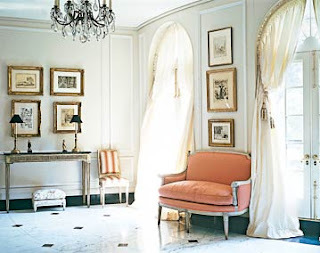 This is from the Thibaut website (thank you, Red River Interiors, for the introduction to the lovely pictures on Thibaut's site), and is designed to feature the wallpaper, so it is not noted which room this is in. I would guess an entry, but the curtains throw me off. 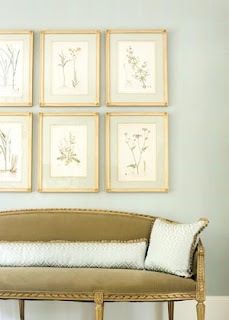 I love this picture of a settee tucked into an alcove. It certainly makes a beautiful scene, but I wonder whether anyone ever sits here? A beautiful Swedish settee, paired with rich colors. From the Thibaut website. Here is a settee in a dining room, which seems like an unusual choice but actually looks beautiful. This dining room has a round table, but I can see how a settee would be very useful in a dining room with a rectangular table; you can put in a leaf, then pull up the settee for more seating! Interior design by Suzanne Kasler. This is one of my all time favorite images, and it has graced my blog several times. Believe it or not, the settee is in the dining room. The entire room is not pictured, but it is noted that the settee and antique botanical prints are on the only blank wall of the dining room. 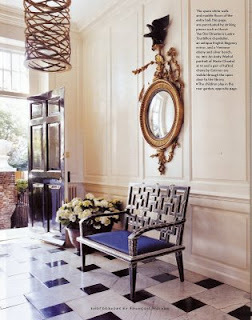 Interior design by Liz Williams, picture from Atlanta Homes & Lifestyles Magazine. The scale of a settee works very well in this 'lady's salon', off to the side of the living room. From Atlanta Homes & Lifestyles Magazine, interior design by Joel Kelly, photography by Erica George Dines. Can you see the settee in this picture? It is to the right of the fireplace. I think it looks beautiful in this room, and can be pulled forward for additional seating. Interior design by Fifi Laughlin, via Bayou Contessa. This is a photo from Thibaut. I am not sure what room it is, but it looks a bit like a bedroom to me. This settee is placed in the sitting room of the master bedroom. It looks nicely upholstered, so it is probably comfortable as well as beautiful. Interior design by Suzanne Kasler. Generally I do not like sofas at the end of a bed, I prefer benches. However, I think that this settee is charming at the end of this bed as the back is open and delicate. It adds more character than a bench, but I think it has to be paired with the right kind of bed. A upholstered headboards looks good with this bench. Photo by Francis Janisch. Unfortunately, I spent so much time debating about the antique settee that it sold (I take too much time to think about my furniture purchases, which is not a good thing when it comes to antiques). However, if I see another one that I like in the future, I will be more open minded about the variety of options for a settee in a home. I love a settee in a front hall, but I also think the right settee at the end of a bed could be the perfect touch. oooooooh what a lovely post !!! Now I am inspired to have a settee! PVE, I know what you mean, I am absolutely obsessed with settees now and see them everywhere I look. I went on a tour of historical homes yesterday and every single home had a settee or two. Who wouldn't want a settee after seeing this post? 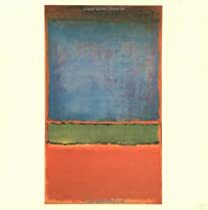 I have used a settee in a dining room before; it was only really used at parties, but it took care of the problem of the blank wall in the dining room. 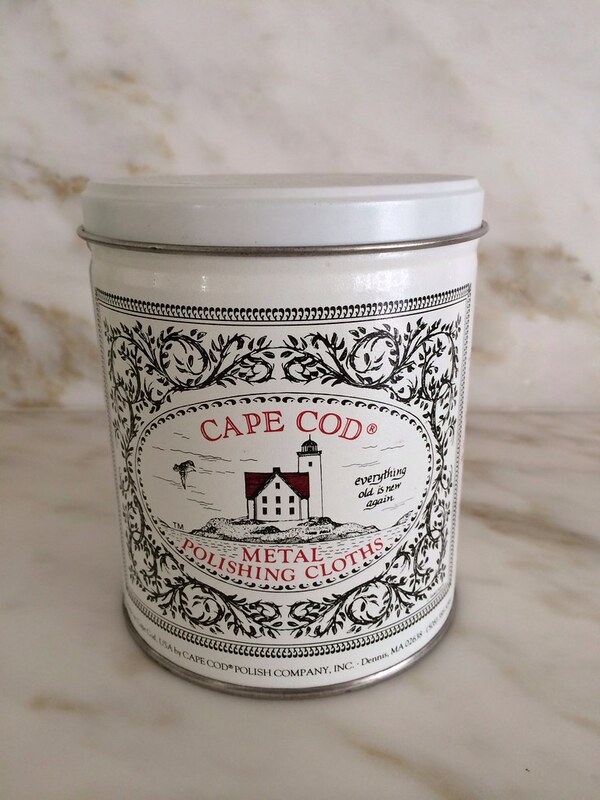 I've never been on the Thibaut site before - it looks great - thanks for the tip. These pictures are all gorgeous - as usual! 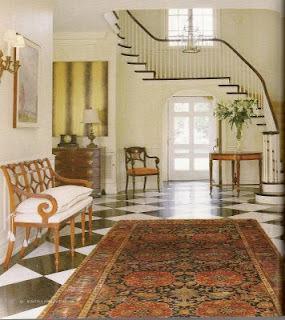 I think my favorite - after that wonderful Houston designer, of course, Joni Webb, my favorite would be the English entry hall. House in England often have the most beautiful halls and entry ways. Truly inspirational post! I need a settee stat! 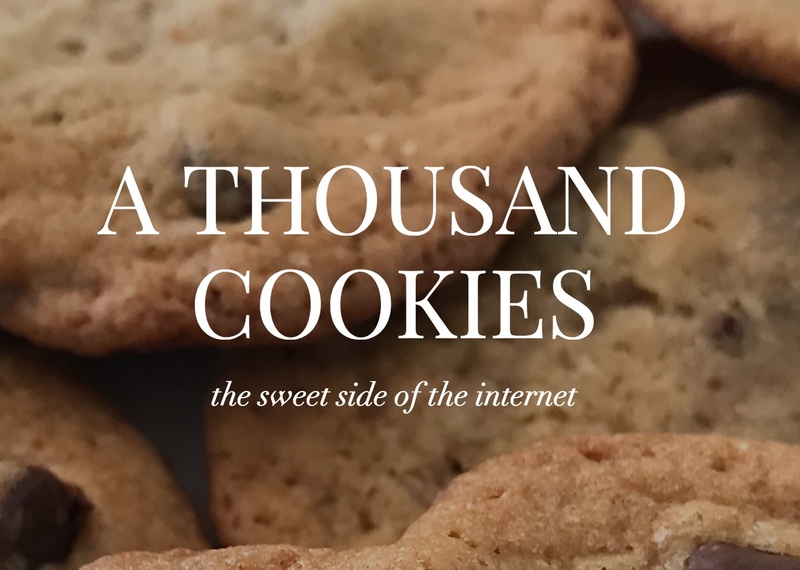 I really enjoyed this post and loved all of the pictures you selected as examples! I love settees and really enjoyed looking at all of the different ones you posted her! Great inspirations. 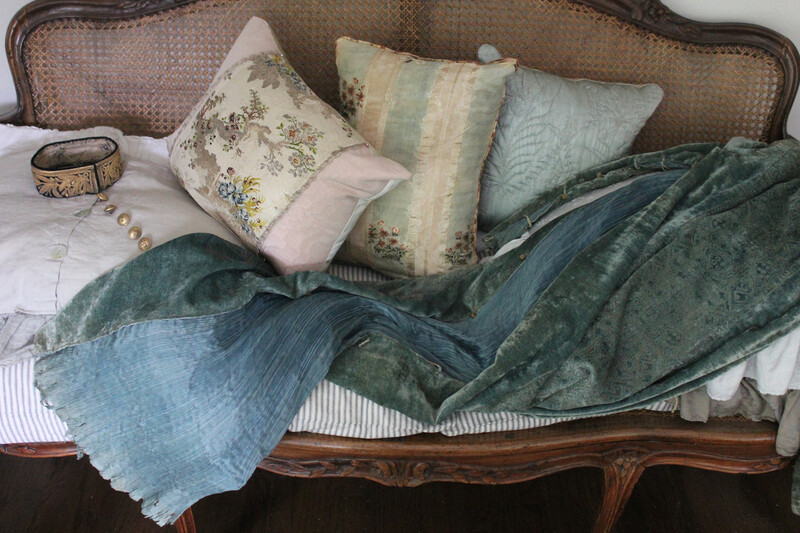 I love the Thibaut site. The pix are just stunning. And all of your selections are so well-thought out. 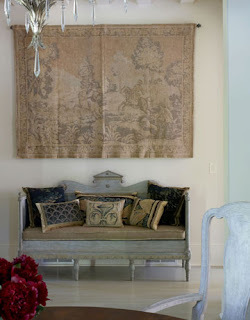 I love settees , it gives to a room such an ambiance ..
Great post! My favorite picture is the very first one! I love that first cream colored couch! Thanks so much for the great collection! It's sweet relief to find this gorgeous post at the end of a long week. The Liz Williams image is SO beautiful (oh, to see the rest of the room!). The 'inner sanctum' quality of the settee in the alcove - dreamy. Thanks for all of it. Thank you for the comments, everyone. Have a great weekend! I too LOVE settees and I have a wall just waiting for the perfect piece. Thank you for the inspiration. like the peak of chic, i've successfully used settees in dining rooms as "space fillers"- you can only have so many side chairs and sideboards, so a "side settee" works quite nicely. for myself, i have always sort of dreamed about a settee in my entry hall, but as i only have space for one piece, i HAVE to have something with storage. maybe in my next life! good luck with your own search- i hope you find the perfect settee soon! I love your settee post- it is so inspiring! A pretty settee can really add to a room- it's functional and attractive. There are so many different places you can put one. Great post! 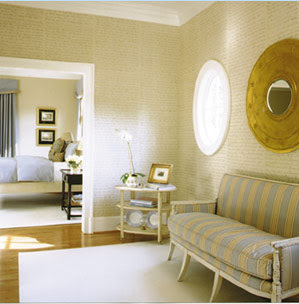 Love the Thibaut pics, the wallpaper they make is outstanding...thanks for the settee tour! Some out of the box settings here which is always so nice to see! I want a Settee so bad! Every Settee you have posted is beautiful!!! Thank you for all of the gorgeous pictures! !